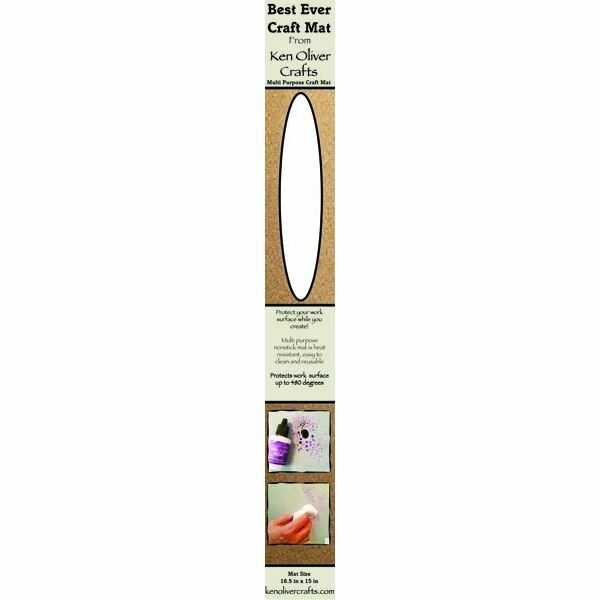 Ken Oliver Best Ever Craft Mat 36" x 24"
Ken Oliver Best Ever Craft Mat 36" x 24" This very versatile mat is perfect for most crafting projects! Features: Non stick, non skid, non porous, heat resistant, heavy duty, wrinkle free, offers superb surface protection, wipes clean, reusable and multi purpose. Protects your work surface from heat tools, paints, inks, polymer clay, glues, sprays and solvents.